Home Fascination of Plants Day Getting ready for FoPD: How many plants have you eaten this lunchtime? 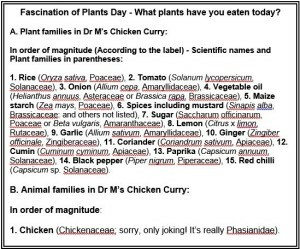 To get you thinking, here’s a botanical culinary conundrum: How many plants (and derivatives) do you think there are in Dr M’s Chicken curry & rice? 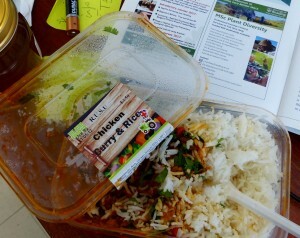 You will need to think and hypothesize, they are by no mean all visible in the photo, it’s been cooked after-all! Get your botanical thinking caps on and, when you have had a go, find the answers below! 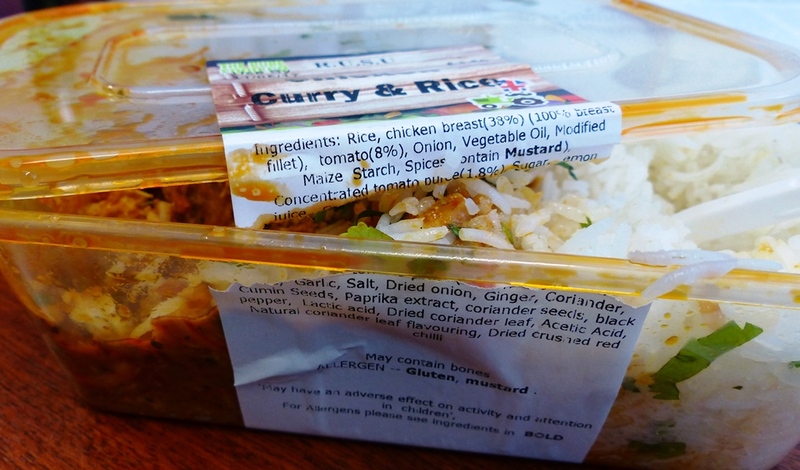 The answer: So, according to the label, there are no fewer than 15 plant ingredients in this chicken curry, and actually more than this because several spices are not listed but just mentioned in passing! 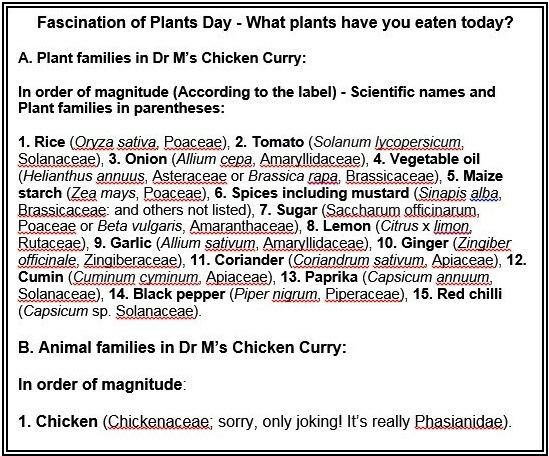 Below is the list with the full scientific details further below, remember: even if you’re not a vegetation or vegan your meals usually contain more plants than you think! Rice, 2. Tomato, 3. Onion, 4. Vegetable oil, 5. Maize starch, 6. Spices including mustard, 7. Sugar, 8. Lemon, 9. Garlic, 10. Ginger, 11. Coriander, 12. Cumin, 13. Paprika, 14. Black pepper, 15. Red chilli.